Bosco Sodi, “Untitled,” 2013. Mixed media on canvas, 78 3/4 x 110 1/4″. Courtesy of the artist and Pace Gallery. Photo by Rachel Styer. 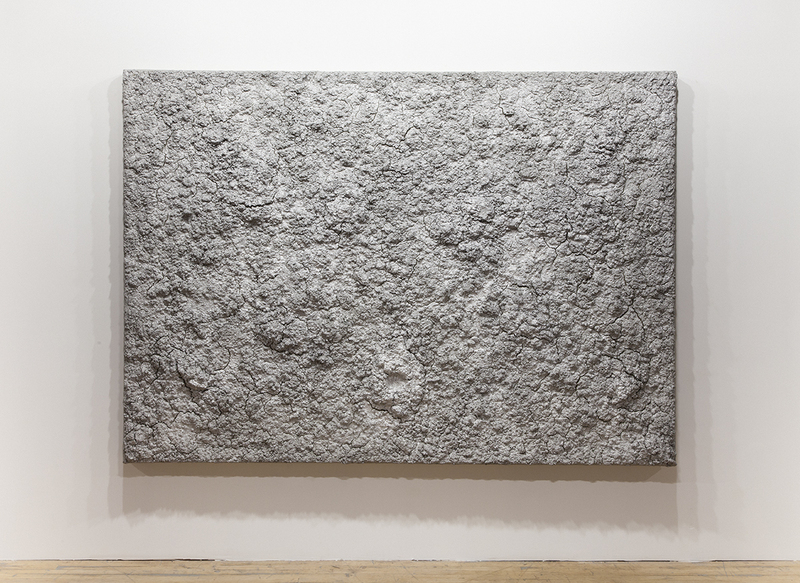 Born from mounds of matter piled, dripped, and gently sculpted by Bosco Sodi, then left to its own devices to crack, shift, and solidify over time, Untitled evokes both past and future, while arresting one’s attention in the present. Dark rivulets, mountains, and gorges form labyrinths of a scorched post-human earth, or perhaps a distant planet of rocks and ice, leaving the viewer unsure if they are viewing something on the cusp of creation or post-destruction. Created just after Sodi’s waterfront studio was entirely destroyed by waters from the New York Harbor, Untitled is haunting, foreboding, almost shamanic in its presence—at peace with its impermanence while in command of its presence. 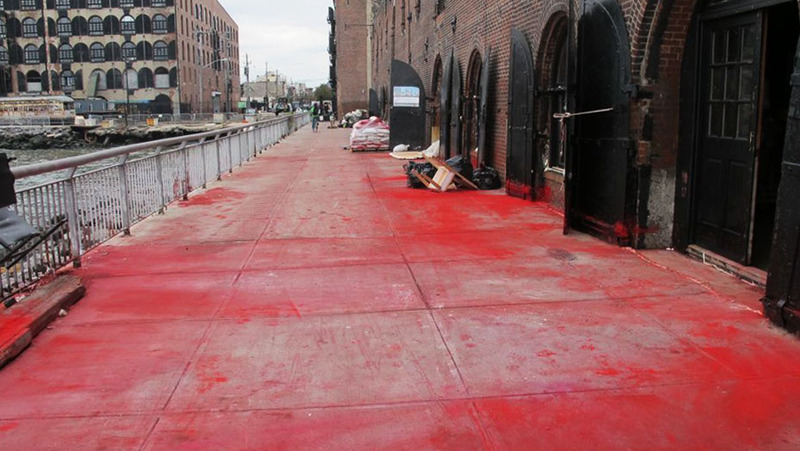 Red pigment from the studio of participant artist Bosco Sodi, flooded across the Van Brunt Street pier in Red Hook, Brooklyn. October 2012. Courtesy of the artist. Photo by Rozalia Jovanovic.